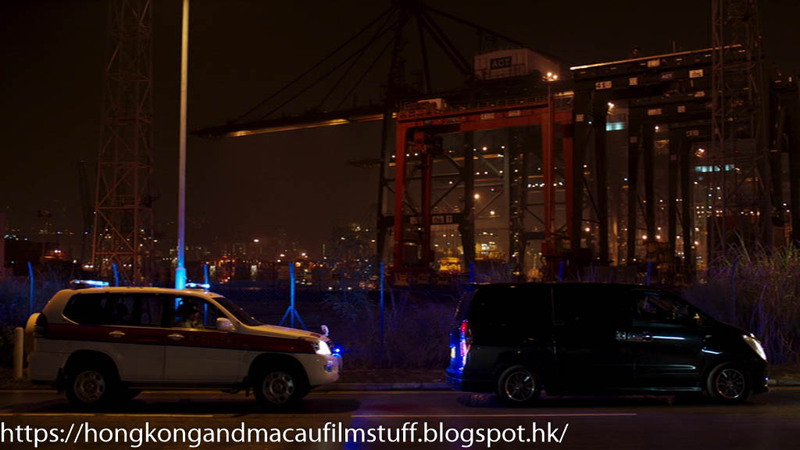 After Lau has been kidnapped, her kidnapper is stopped by the police because his rear light is broken. Funny thing is though that this place is a dead end. 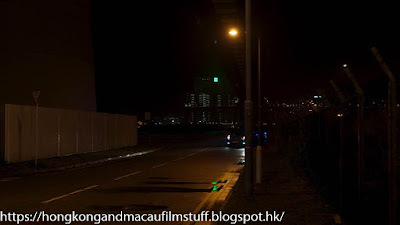 This is the service road that runs underneath Stonecutters Bridge (you can see the bridge at the top of the image) and the car has basically just driven from the dead end by the sea wall when it is stopped. You can see where the road ends behind the car as it is turning. 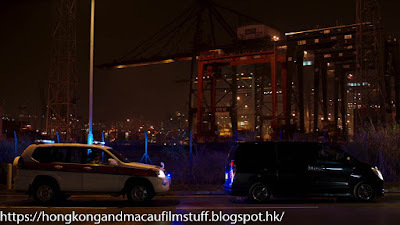 In the second image you can see how close this place is to one of the container terminals.